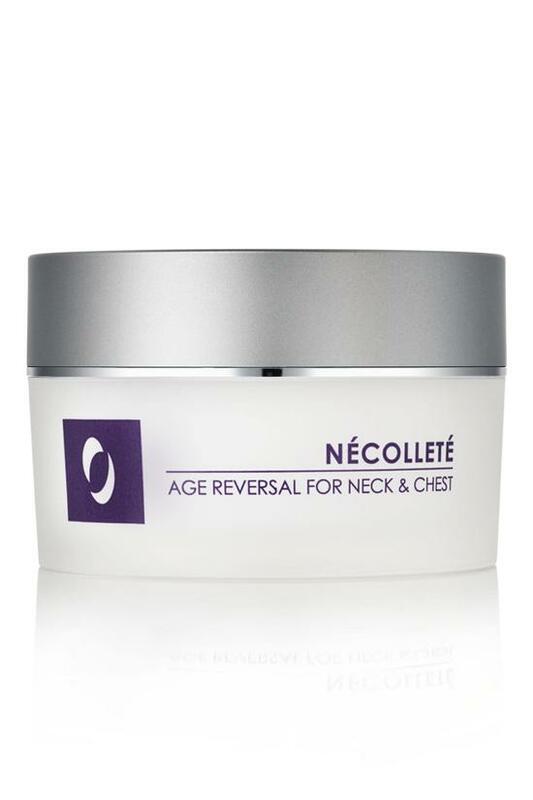 The neck and chest are often overlooked and can show signs of aging all too quickly. Now experience the latest breakthrough technology from Osmotics to target the multiple signs of aging and sun damage on the thin, fragile skin of neck, chest and décolleté. This skin fortifying formula firms and tightens to restore tone and elasticity. Visibly improves crepe paper texture and creases around the neck. You will see healthier, smoother, firmer skin in thirty days. With continued use you'll help prevent future damage for a more beautiful décolleté. 1.7 oz. · Helps firm and support neck contours while reinforcing fragile skin with needle free Hyaluronic Acid booster. · Strengthens Collagen fibers with powerful peptide combination. · Visibly reduces redness/blotchiness for a more even skintone. · Firms and tightens for more youthful contours. Gently massage onto neck and chest twice daily. Allow to absorb. Water, Cyclomethicone, Butyrospermum Parkii (Shea Butter), Caprylic/Capric Triglyceride, Squalane, Pentylene Glycol, Calcium Hydroxymethionine, 3-Aminopropane Sulfonic Acid, Polysorbate 20, Hydroxyethylcellulose, Glycine Soja (Soybean) Protein, Tetradecyl Aminobutyroylvalylaminobutyric Urea Trifluoroacetate, Glycerin, Magnesium Chloride, Saccharide Isomerate, Cetyl Alcohol, Stearic Acid, Glyceryl Stearate, PEG-100 Stearate, Dimethicone, Tocopheryl Acetate (Vitamin E), Vitis Vinifera (Grape) Seed Oil, Simmondsia Chinensis (Jojoba) Seed Oil, Retinyl Palmitate (Vitamin A), Citrus Aurantium Dulcis (Orange) Oil, Ascorbic Acid (Vitamin C), Disodium EDTA, Diazolidinyl Urea, Iodopropynyl Butylcarbamate, Carbomer, Tromethamine.